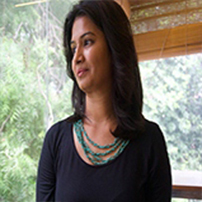 Bhavini Mehta is founder and CEO of both Infinity Business Solutions and Publishbook.me. She is a contemporary entrepreneur who is building both endeavours by empowering and lifting people around her. Right out of college, with an undergraduate degree from Christ College and an MBA from AESPG Institute of Management Ahmedabad, she entered the corporate world with HDFC Bank Ltd. and quickly found it was not for her. Her first entrepreneurial ventures include a loan channel partner company with both HDFC Bank and Kotak Mahindra Bank. Along with her entrepreneurial spirit is the strong belief that women are able to achieve at least everything a man can, and much more. Incorporating a sense of realism into her beliefs is that in nearly every woman’s professional life comes a time to plan a family. Bhavini faced that situation herself. Thence came a motivating factor in her life to seek to create a workspace conducive to all women in that special time of their lives. Her business focuses on employing work-from-home mothers and women students who need financial support to complete their education. “There is opportunity for everyone, you must be vigilant to grab those” is her mantra for life and her advice for all. She has taken the outsourcing industry – which encompasses both of her current ventures – to employ people (now both women and men) from around the world to serve clients who, likewise, are from around the world. This concept took off for her when at the response to her presentation at a conference where she discussed her beliefs that people could well be free to work from home or anywhere else, move among departments, and learn to work on different projects. When she was finished, people flooded to her to ask for a business card and wanting to know more … people who became both clients and part of her workforce! Strong in her beliefs, she rejected funding to grow her business because with the investment would have come the requirement that her employees could not work from home and had to follow specific working hours. Infinity Business Solutions is a shared services outsourcing firm providing services such as bookkeeping, payroll process, Website Development, Integrated marketing, and other specialized IT services. Using today’s technology, such services may be provided by specialists who life half a world away from the client. Publishbook.me came about as one of Infinity’s services that grew to have its own needed set of specialists, such as writers, editors, designers, marketers, etc. Both firms are flourishing.